The Emperor is the highest temporal authority of Christendom, the successor of Rome, and the Primus inter pares of Catholic Rulers. “Most serene Augustus, crowned by God, great and pacific emperor, governing the Roman Empire.” The Emperor is the protector of the Church and the nations of Christendom, high commander of the armies of Christendom, and also the highest judge to which one could appeal (not including Ecclesiastical appeal to the Pope). The Emperor is elected by the Electorate, and crowned by the Pope, and may be deposed by either. The Electorate is the Prince-Electors of the Empire, who fulfill the offices of the Imperial household, with the ecclesiastical Electors in the offices of Archchancellor, the Electors being chosen by the Emperor with Papal approval. The Crownlands are the lands under the direct jurisdiction of the Emperor, or the Imperial Crown governed by the Higher Nobility, according to the Imperial laws and customs. Kingdoms are sovereign states ruled independently by Kings under the authority of the Emperor, by the local laws and customs of the country. The Kings are not interfered with by the Emperor except when appealed against, yet the Kings swear loyalty to the Emperor, and aid him in the protection of Christendom. Federations are unions of sovereigns states ruled by elected officials or higher nobility (and sometimes even Kings, as in Unions of Kingdoms) independently under the Emperor, by the local laws and customs of the country. The Leaders of Federations swear loyalty to the Emperor and are not interfered with by the Emperor. 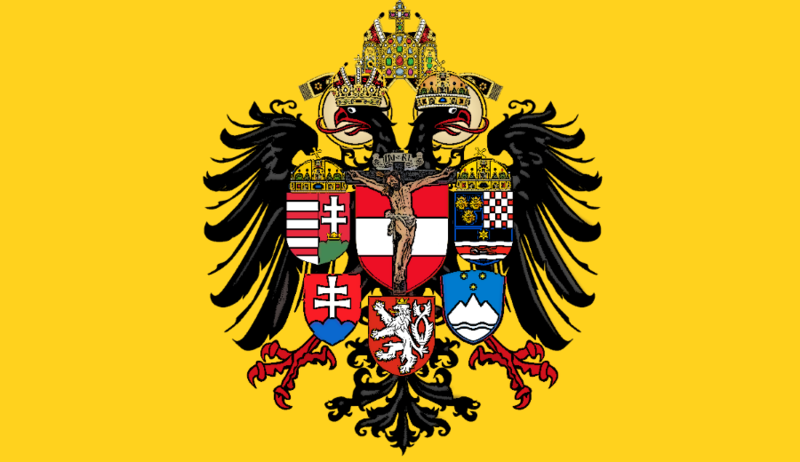 Free States are sovereigns states (neither Kingdoms nor Federations) ruled by elected officials or free princes, independently under the Emperor, by the local laws and customs. The Leaders of Free States swear loyalty to the Emperor and are not interfered with by the Emperor. The Estates are the hereditary freeholds of the Nobility, under the local rulers. The Nobility are Freeholders with varying ranks of civic, civil, and/or military offices, most of which are hereditary. The Nobility have privileges only corresponding with their duties, by virtue of their office alone, and have the duty to protect the Freeholders within their realm of authority. 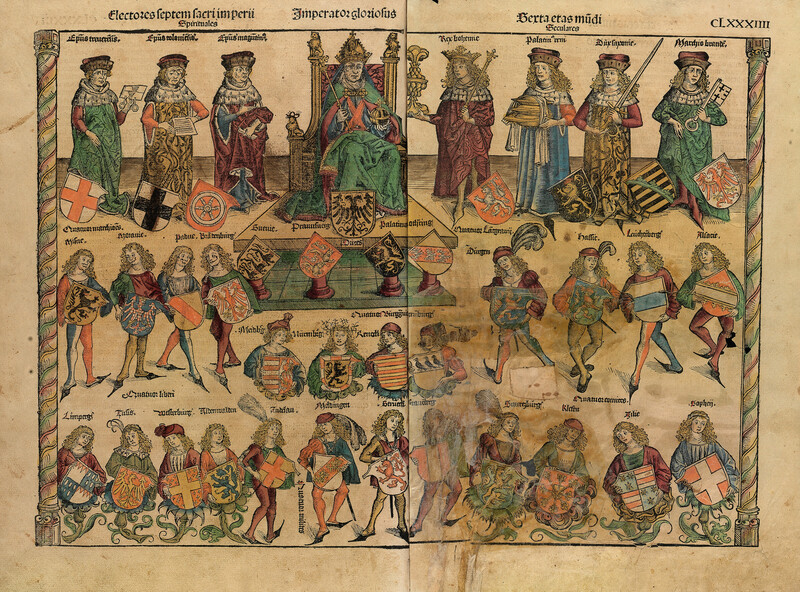 The Nobility are divided between the Higher Nobility, with mostly military offices, and the Lower Nobility, with mostly Civil offices. The Guilds are societies of working Freeholders, divided into apprentices, journeymen, and masters, with separate guilds for every occupation. Mastership in a craft or occupation is required for ownership and or management of a business or shop. Guilds protect both employees and employers, the employees by enforcing a just living wage, the employers by preventing the employees from extorting their employer, through special investigators, and oaths of the guild members. Guilds are headed by Guildmasters, masters chosen by the guild members to represent them. Councils of Nobles and Freeholders serve as advisory boards to the Emperor, Kings, and Leaders, and as local governments. A Free City is a federation of the Freeholds within a defined area established by charter for the mutual benefit and protection of the Freeholders, with noble or elected officials and councils. The citizens of the free city contribute to its protection, and answer to the local Kings or Leaders. A Freehold is an untaxed (real) property owned by a Freeholder (owner of property/the common man) which cannot be confiscated or taxed. The Freeholder exercises a vote for his children until they reach majority (the age at which they can vote). The Freeholder is able to bequeath or sell his freehold, the main purpose of which is to provide a living for the Freeholder’s family. Even if in extreme poverty, a Freeholder can sustain himself and his family by growing food on his freehold. Every Freeholder in Christendom has the right to appeal to the Emperor. However, if the Freeholder is found guilty or perjured, his sentence will be stricter. Knights are freeholders who form a voluntary auxiliary law enforcement and military according to the rules of Chivalry and who receive special training in order to exercise their office. Guardians are the freeholders who form the regular law enforcement under civil law.